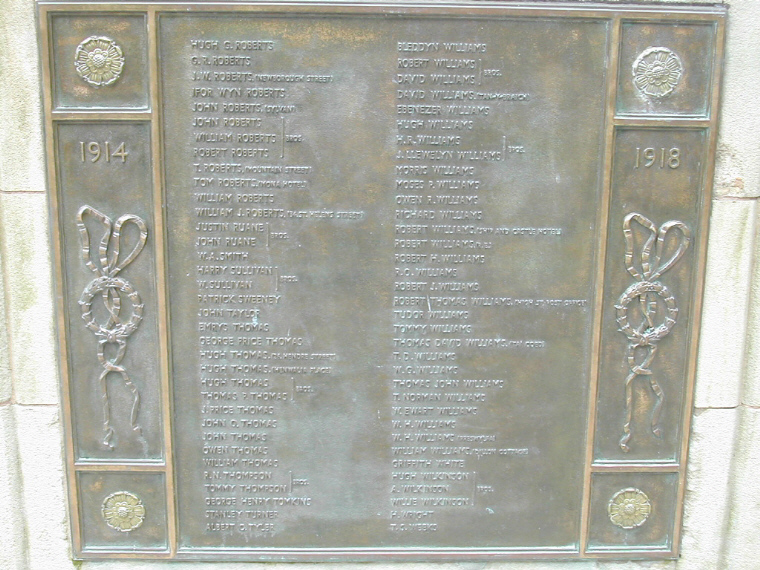 The War Memorial was unveiled on Sunday November 12th. 1922, by the Mayor, Councillor A. H. Richards. Previously, there had been a temporary monument, in the form of a Celtic cross, near the Town Walls at Tanybont. This was erected in time for a procession through the town on the 27th. 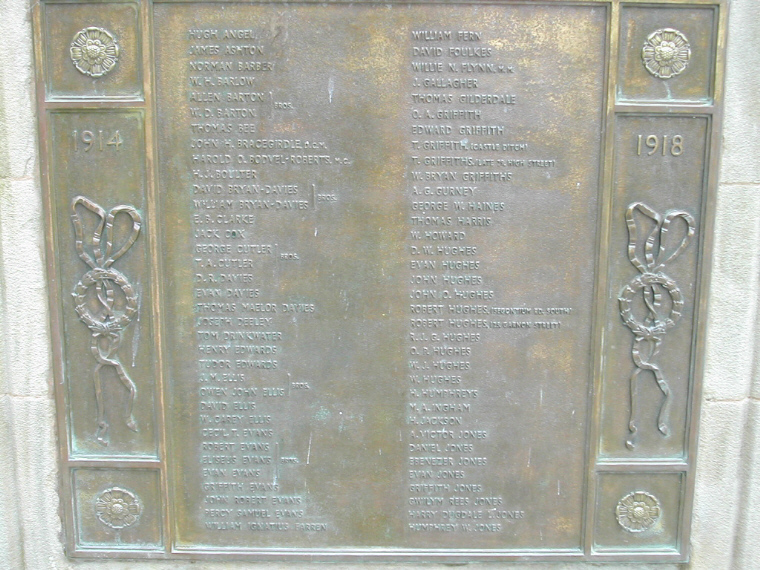 of September 1919 in honour of around 4,000 Carnarvonshire servicemen. 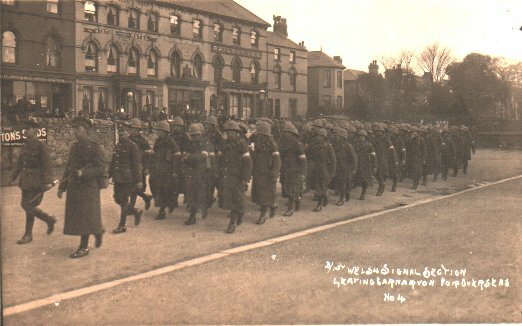 Following this event, the War Memorial Committee was formed to prepare for a permanent memorial. 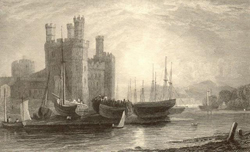 In February 1922 the site at Tanybont was discarded in favour of Castle Square. 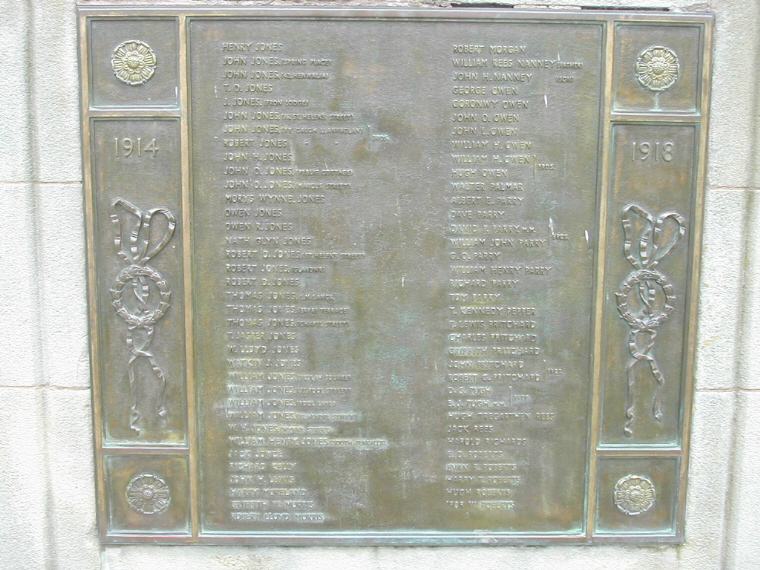 As can be seen from the early photograph of the memorial, the panels were originally made of marble (?? 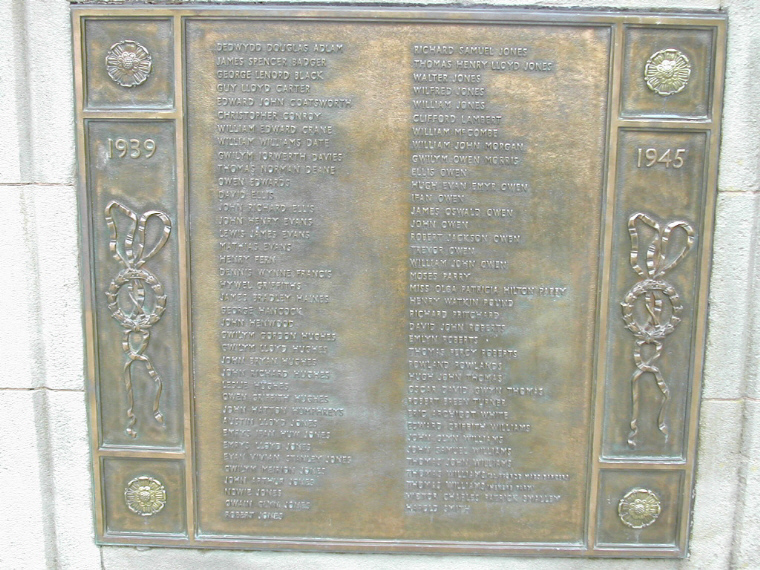 ), but they were replaced with the present ones probably when the new panel was added after the Second World War. Please note that the panels proved to be difficult to photograph, and acceptable images took a while to achieve. Because of this the file sizes are rather large and will take some time to download. 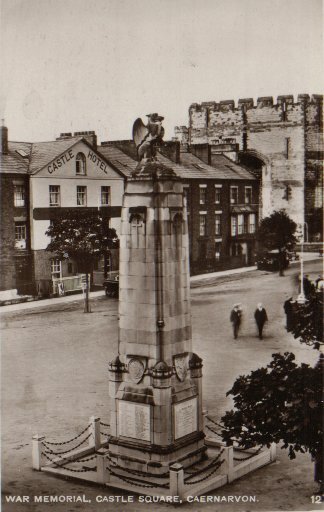 Early photograph of the War Memorial. Note the different name panels. 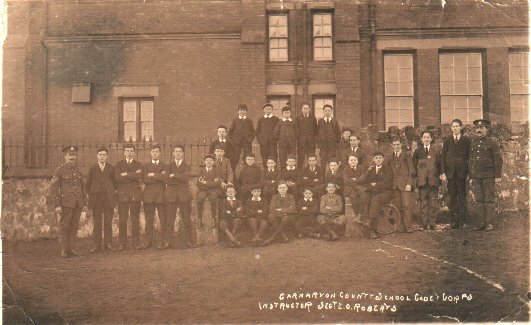 Carnarvon County School Cadet Corps. Instructor Sgt. E. O. Roberts. July 1916. 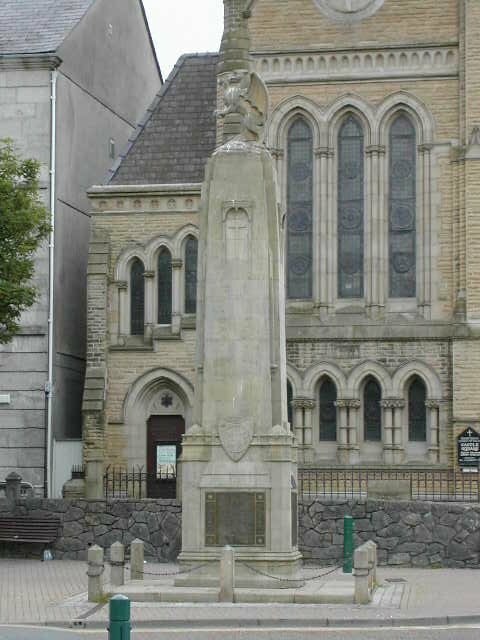 Many thanks to T. Meirion Hughes, who provided the information concerning the erection of the War Memorial.